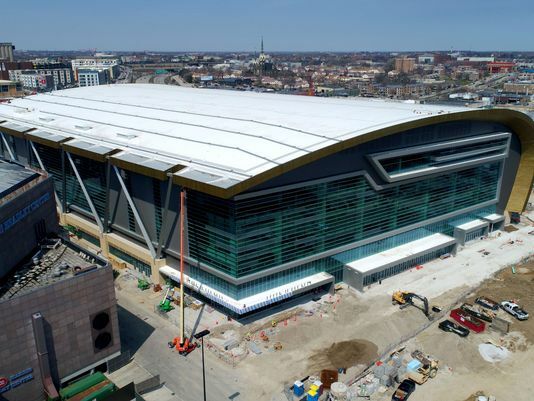 New Bucks Arena becomes the “Fiserv Forum” – HOT102, Milwaukee's Party Station for Old School! JSOnline, The Milwaukee Bucks and Fiserv Inc. just announced a 25-year naming rights deal for the team’s new $524 million downtown arena. It will be called the Fiserv Forum. Specific money details weren’t shared, but there’s big value for the Brookfield-based financial services company. The Fiserv Forum name will appear before worldwide audiences who tune in for Bucks home games and highlights, plus games played by the Marquette University Golden Eagles men’s basketball team, concerts, and more. It will also appear as part of the Bucks’ NBA 2K video game team. The name “Fiserv Forum,” both the Bucks and Fiserv officials say, is a nod to Fiserv’s annual client experience event where the world’s best and brightest technology, financial services and business professionals gather to exchange ideas. Fiserv signs will be attached to the new arena Thursday afternoon, probably by the time you read this. 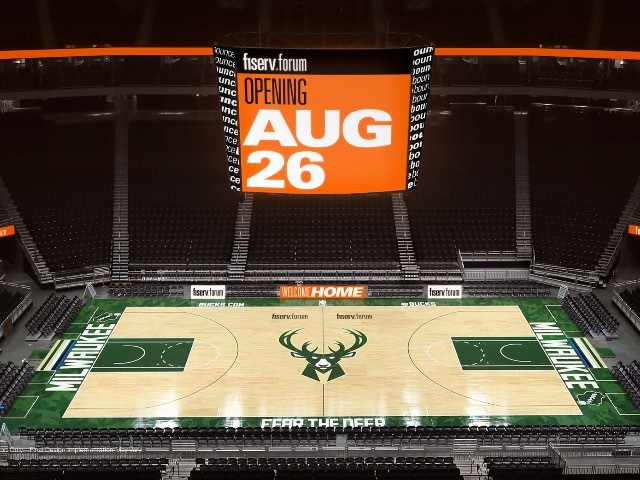 The new Fiserv Forum (which will take some getting used to) is pretty much finished and will open next month, including a concert by The Killers and Milwaukee’s own Violent Femmes to help with the opening September 4th, and a bunch of other concerts follow, along with the Bucks’ new season. What do you think of “Fiserv Forum”? Think most people will just call it The Forum, or will additional nicknames come into play? This entry was posted in Articles and tagged Fiserv Forum by HOT102Radio. Bookmark the permalink.